Al-Faqih Saifudin Abu Zakariya Yahya Ibn Abdur Rahman Ibn Najm Ibn Abdul Wahab al-Hanbali reported to us: and I read it to him and I heard it on the day of Juma on the 10th of Shawal in the year 669 Hijri, and Abu Abdullah Muhammad Ibn Abdul Mun’im Ibn al-Qawas, and Mu’amal Ibn Muhammad al-Basili and Abu Abdullah Muhammad Ibn Abi Bakr al-‘Amiri in at-Tarikh, and Abul Abas Ahmad Ibn Shayban , and Abu Bakr Ibn Muhammad al-Harawi, and Abu Zakariya Yahya Ibn Abi Mansur Ibn as-Sayrafi and Abul Faraj Abdur Rahman Ibn Salman al-Baghdadi, and ash-Shams Ibn Zayn, and Kamal Abdurahim, and Ibn al-Asqalani, and Zaynab Bint Maki, and Situl Arab, the first one said, and Ibn Shayban and Zaynab: Abu Hafs Umar Ibn Muhammad Ibn Tabarzad reported to us, and al-Baqun said and Ibn Shayban Zayd Ibn al-Hasan al-Kindi reported to us, Zada Ibn as-Sayrafi, then he said, and Abu Muhammad Abdul Aziz Ibn Ma’ali Ibn Gunayma Ibn Manina and I read it to him and he said to all of us, al-Qadi Abu Bakr Muhammad Ibn Abdul Baqi Ibn Muhammad Ibn Abdullah al-Ansari reported to us, and Abu Ishaq Ibrahim Ibn Umar Ibn Ahmad al-Barmaki reported to us and Abu Muhammad Abdullah Ibn Ibrahim Ibn Ayub Ibn Masi reported to us, Abu Muslim Ibrahim Ibn Abdullah Ibn Muslim al-Kaji narrated to us, Muhammad Ibn Abdullah al-Ansari narrated to us, Humaid narrated to me, from Anas that Ar-Rabi, the daughter of An-Nadr, who was his paternal aunty, broke the tooth of a girl, and the relatives of Ar-Rabi` requested the girl’s relatives to accept the Irsh (compensation for wounds etc.) and forgive (the offender), but they refused. So, they went to the Prophet (Sallalahu Alayhi Wa Sallam) who ordered them to bring about retaliation. Then Anas bin An-Nadr, who was her brother, came and said, “O Messenger of Allah (Sallalahu Alayhi Wa Sallam)! Will the tooth of Ar-Rabi` be broken? No, by Him Who has sent you with the Truth, her tooth will not be broken.” The Prophet (Sallalahu Alayhi Wa Sallam) said, “O Anas! Allah’s law ordains retaliation.” Later the relatives of the girl agreed and forgave her. The Prophet (Sallalahu Alayhi Wa Sallam) said, “There are some of Allah’s slaves who, if they take an oath by Allah, are responded to by Allah (i.e. their oath is fulfilled). 1. The religion of Islam is a religion of justice and all people are equal in their rights in the judge’s court whether they are the rich or poor, free or slave and no one has an exception in the law rather everyone will be punished after proofs have been presented (and established on) them and in the same way everyone will be given their due right. 2. Anas Ibn Nadr (Radi Allahu Anhu) was a companion whose dua’s were accepted and this hadith establishes this virtue. 3. It is part of the human fitra to love and defend the close relatives. 4. If a person breaks someone else’s tooth then their tooth will be broken in retribution. 5. The Prophets and Messengers (Alayhimusalam) are blameless, however from the umma it doesn’t matter how big a scholar it is or how pious or virtous they are, they can make a mistake, therefore it is not correct to blindly follow a person from the umma and neither it is correct to blindly believe them. 6. The paternal uncle of Anas Ibn Malik, Anas Ibn Nadr al-Khazraji al-Ansari (Radi Allahu Anhu) was martyred in the battle of Uhud. 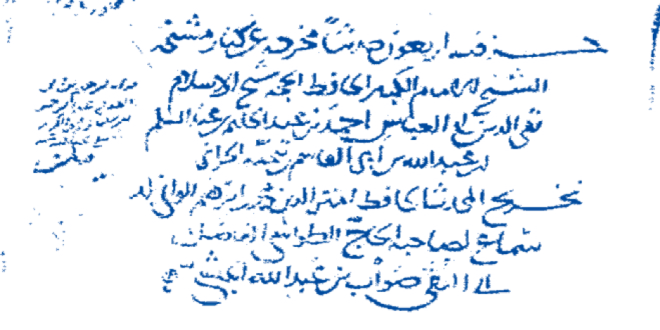 Abu Hamza Anas Ibn Malik Ibn Nadr Ibn Damdam Ibn Zaid Ibn Haram Ibn Jundub Ibn Amir Ibn Ganam Ibn Adi Ibn an-Najar al-Ansari an-Najari al-Madani (Radi Allahu Anhu). 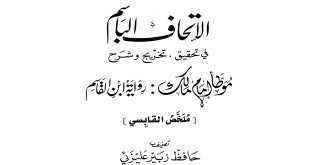 Ishaq Ibn Abdullah Ibn Abi Talha, Abu Umama As’ad Ibn Sahl Ibn Hanif (Radi Allahu Anhu), Isma’il Ibn Abdur Rahman as-Sudi, Isma’il Ibn Muhammad Ibn Sa’d Ibn Abi Waqas, Anas Ibn Sirin, Buraid Ibn Abi Maryam, Bakr Ibn Abdullah al-Muzani, Thabit al-Banani, Thumama Ibn Abdullah Ibn Anas Ibn Malik, Hasan Basri, Humaid at-Tawil, Humaid Ibn Hilal al-Adawi, Rabi’a Ibn Abi Abdur Rahman, Abul ‘Aliya Rafi’ ar-Riyahi, Zubair Ibn ‘Adi, Zaid Ibn Aslam, Sa’id Ibn Jubayr, Sa’id Ibn Abi Sa’id al-Maqbari, Sa’id Ibn al-Musayib, Sulayman Ibn Turkhan at-Taymi, Samak Ibn Harb, ‘Amir ash-Shu’ba, Abu Qilaba Abdullah Ibn Zaid al-Jurmi, Abdur Rahman Ibn Abi Layla, Abdul Aziz Ibn Rafi’, Abdul Aziz Ibn Suhayb, Amr Ibn Abi Amr, Qatada Ibn Du’ama, Muhammad Ibn Sirin, Muhammad Ibn Ka’b al-Qurdhi, Muhammad Ibn Muslim Ibn Shihab az-Zuhri, Muhammad Ibn al-Munkadar, Muhammad Ibn Yahya Ibn Hibban, Mukhtar Ibn Falfal, Makhul Shami, Nafi’ Abu Galib al-Bahili, Na’im al-Mujmar, Abu Majlaz lahaq Ibn Humaid, Yahya Ibn Abi Kathir and Abu Salama Ibn Abdur Rahman Ibn Awf and other than them, Rahimahullah Ajma’in. 1. He served the Messenger of Allah (Sallalahu Alayhi Wa Sallam) for 10 years. The narrations of Humaid at-Tawil from Anas Ibn Malik through Thabit al-Banani or from hearing himself are authentic. A whole book is needed to write the virtues and merits of Anas Ibn Malik (Radi Allahu Anhu) since he has a lot of them. 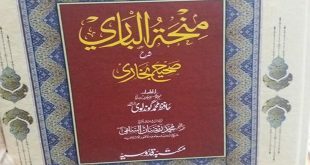 There are four narrations attributed to him in al-Arba’un Fil Hath Alal Jihad of Ibn Asakir, no.16; no.26; no.31 and no.37. He was present in the battle of Badr even though he didn’t reach the age of puberty and was serving the Prophet (Sallalahu Alayhi Wa Sallam) and the other companions.